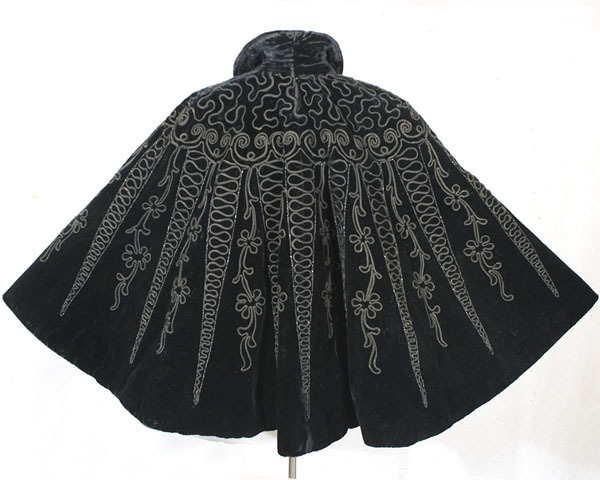 This beautifully embellished cape can be displayed as part of your collection or worn with jeans. 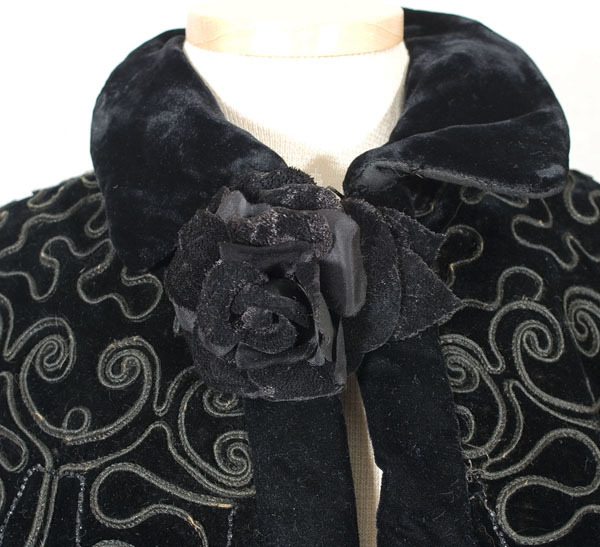 The previous owner, who believed in wearing her pieces, had the cape relined and added the velvet rose at the neckline. 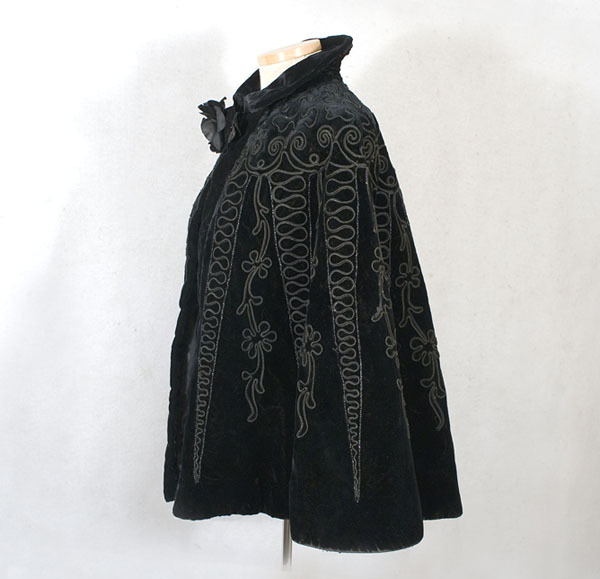 The cape is fashioned from black velvet elaborately embellished with couched soutache and faceted black glass beads. The beads have a subtle sparkle that will delight all. 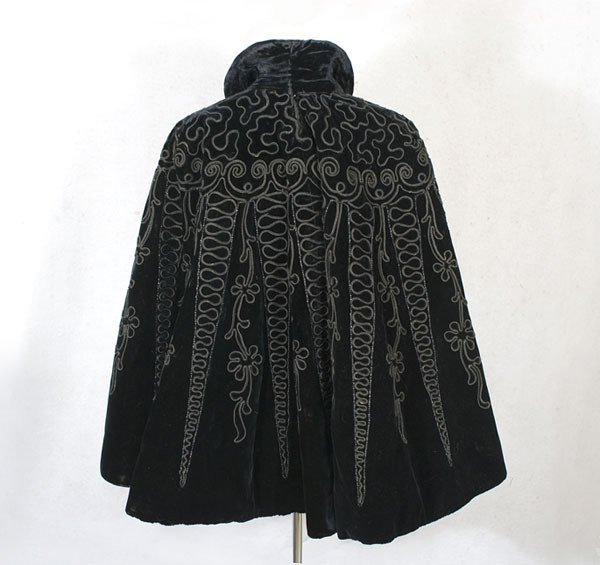 The cape is lined with black taffeta and closes at the neckline with two large hooks that are original. 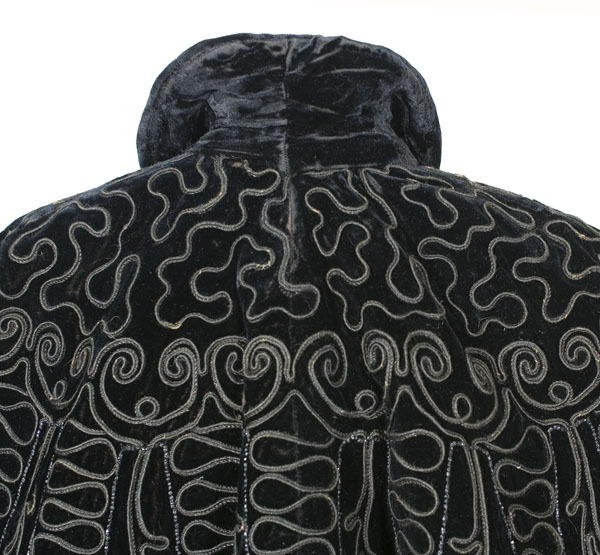 The exotic floral motif (3rd picture down) draws the viewer in with its flowing, highly-stylized, curvilinear forms. 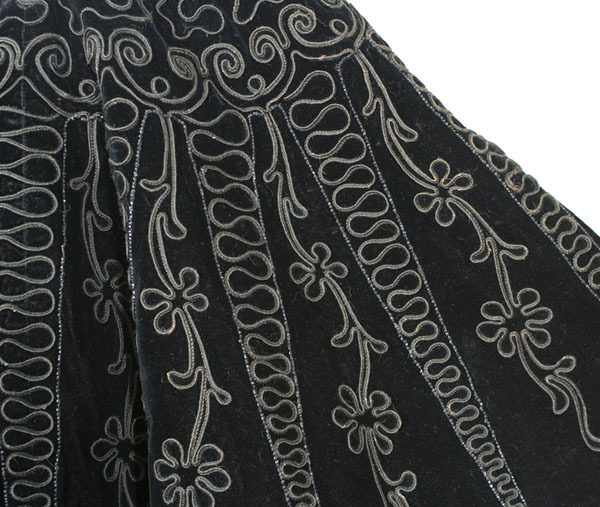 The design perfectly captures the Art Nouveau aesthetic, then at a peak of popularity. 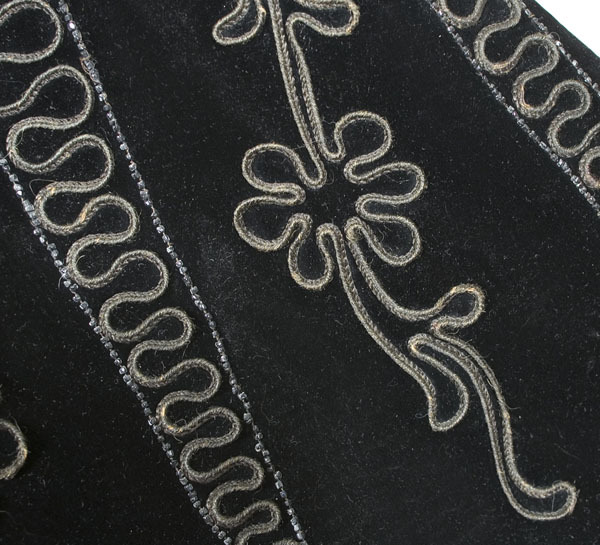 With its emphasis on floral forms, Art Nouveau was a reaction against the conventions of 19th century academic art. One size fits all. 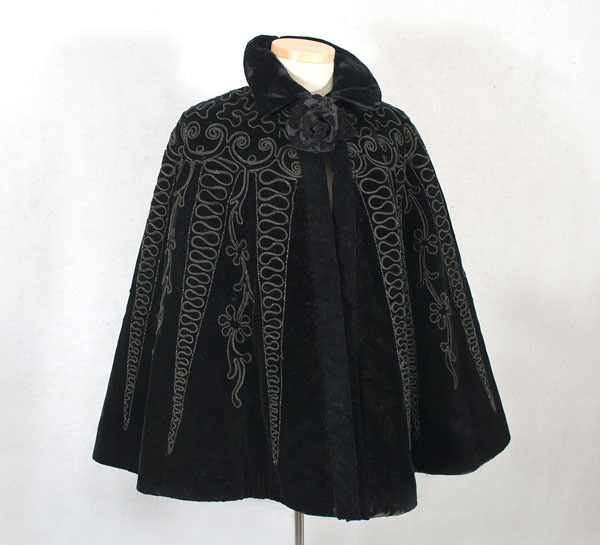 The cape is 24" long at the center-back.